These days in Mexico, if you say “La dictadura perfecta”, you are likely to be understood as referring to a movie. Its title intrigued me, even if I had not heard before of Mario Vargas Llosa, the Peruvian writer who is credited with describing Mexico as the perfect dictatorship in 1990. Nor did I know of film directors Jose and Luis Estrada. So I watched the film with my wife tonight, without prejudice. The above suggests a certain liberty of expression, which, in my experience, is not present in the U.S.A or Great Britain and which contradicts the notion of Mexico being a perfect dictatorship. At the same time, the film shows a governor shooting one of his associates because they leeked a document, seconds after inviting a journalist on his payroll to witness the murder “so that he learns how things are done”. With this and many other examples Luis Estrada suggests that those in power see as the best means for maintaining themselves to power either the corruption with money or the physical elimination of those who still have morals and stand up for justice. In this sense, the film also argues that “details” can be ignored by the big bosses, so its own presence could be accepted as long as it doesn’t destabilise the status quo. How much of this caricature to believe? The movie asks who has the real power: the politician or the controller of mass media? I’d say one needs to dig even deeper than where Estrada has reached, as both the politician and the TV-director play to the tune of their funders (who never appear on scene). It is those links where any society that respects itself should set rules and limits. And as the movie never touches on the issue of “solutions”, it may be clasified as ‘safe’, despite its edging, cutting satire. I read Buñuel’s autobiography, where he describes mid-to-late 20th century Mexico. As with the Estradas & Llosa, I could have taken word-to-word his description and apply to my own experience of the country during the past five years. A mountain of contrasts, he starts with the problems (I think because he cares, they pain and trouble him, the descriptions are there to help Mexicans consider their situation, which they understand better & deeper than us visitors, but perhaps take too much for granted & deeply routed in their history/culture). He then continues with a comparison of how injustice manifests itself in a structurally hidden form in more industrialised/technologically advanced countries often producing greater inequality and larger-scale crimes, which are inconceivable in Mexico. Then he praises the many virtues of Mexico, a mix of different wild flowers blooming in Spring (these are my words), and thanks the country for enabling him to direct & produce his movies. Buñuel's autobiography (Claude Carrière helped) was a good read. His descriptions of (& thanks to) Mexico resonated. 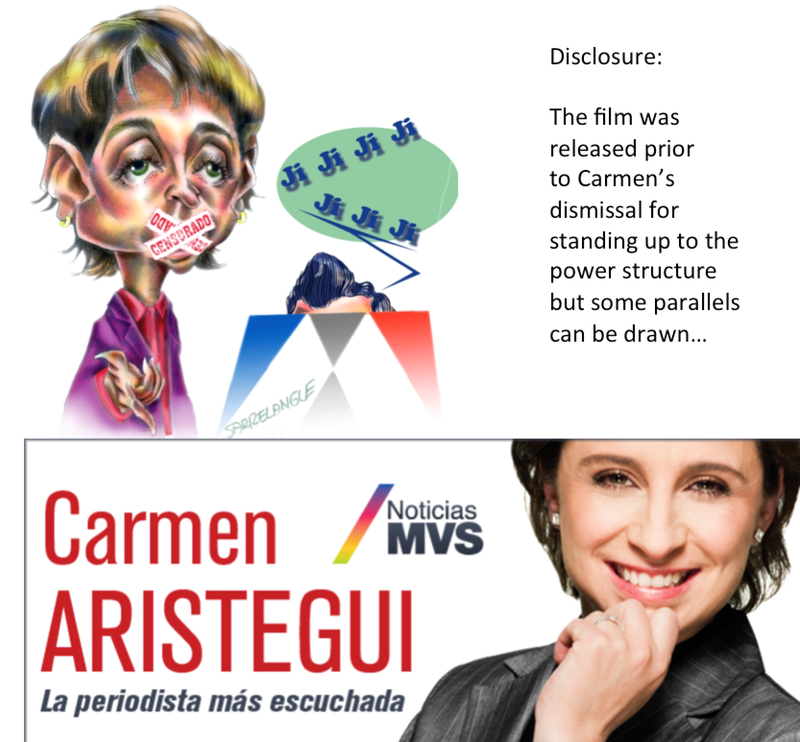 Good news re: Aristegui’s case, I suppose.